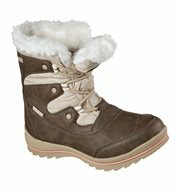 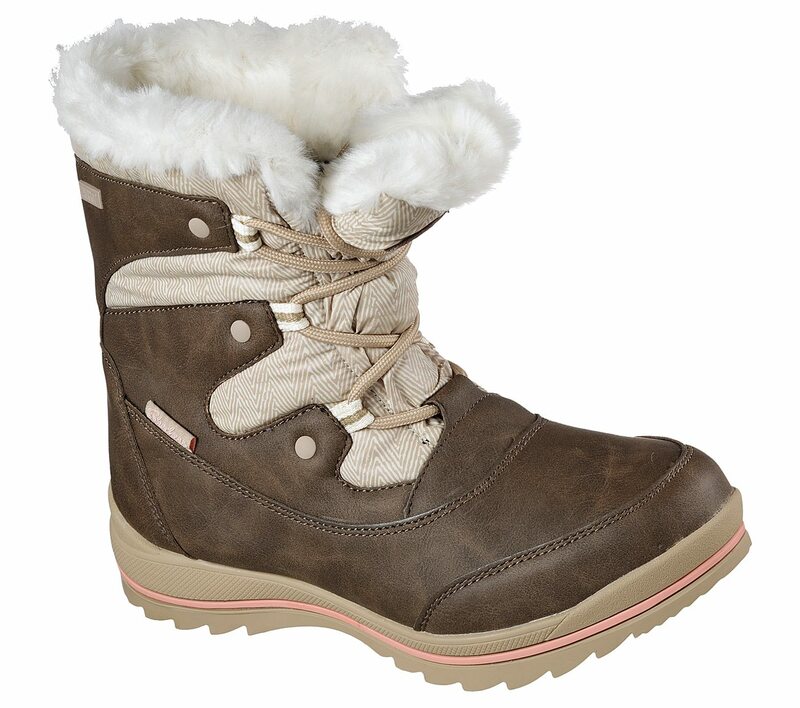 Skechers Colorado Castle Rock women's ankle boots are great for the outdoors. 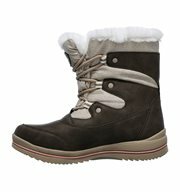 The uppers are made from brown faux leather and a tan colour padded waterproof fabric with a subtle zigzag pattern. 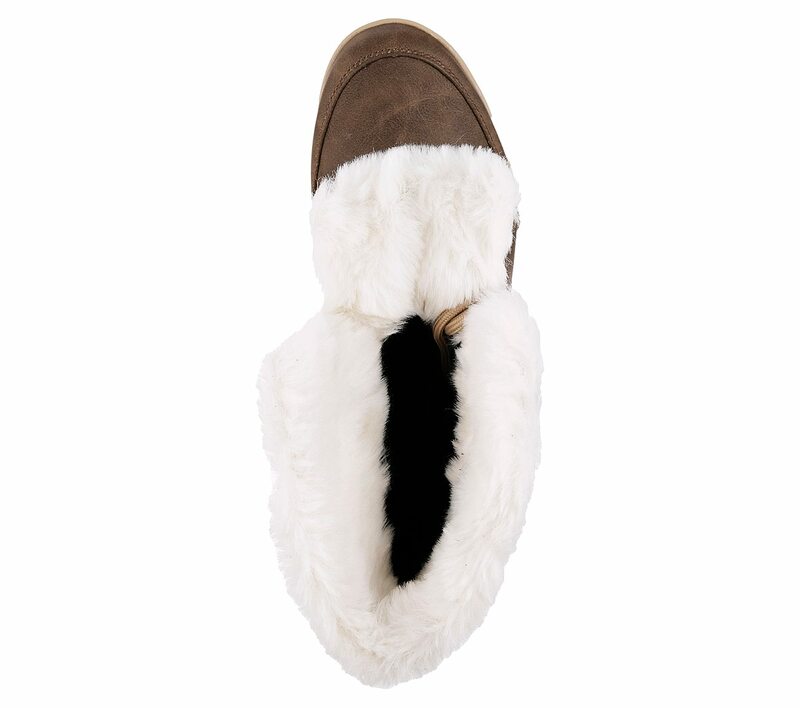 Inside the boot is a luxurious cream faux fur. 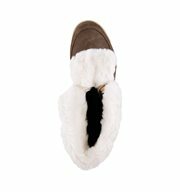 Warm Tech Memory Foam insoles that help retain your natural body heat for insulted warmth and comfort. 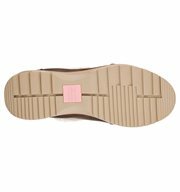 Fixed cuff can be pulled in with the laces to create a snug and comfortable fit. 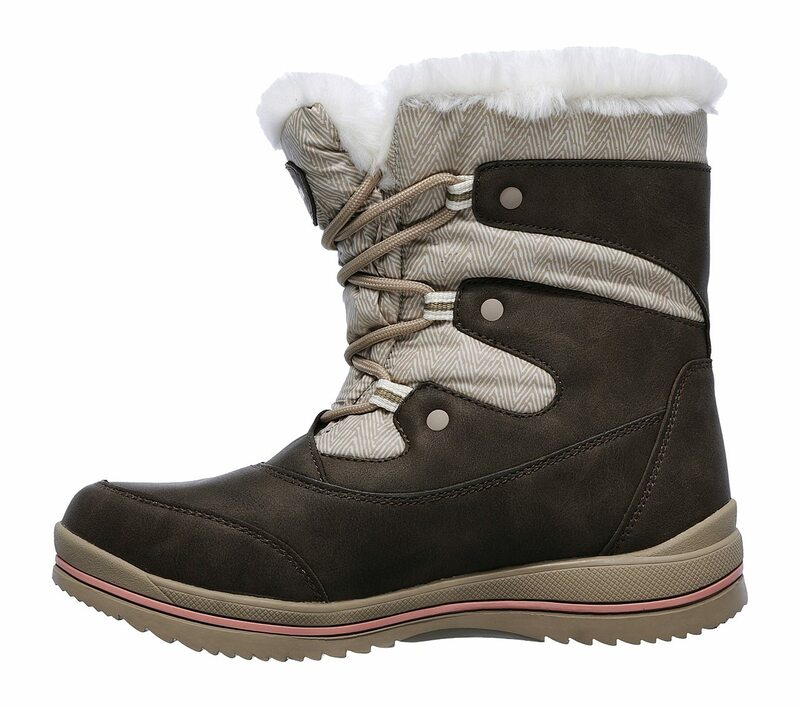 Flexible traction rubber outsole creates added comfort and good grip that's perfect for outdoor wear this winter. 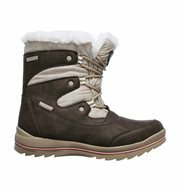 Skechers logo appears on the tongue and on the side of the boot. 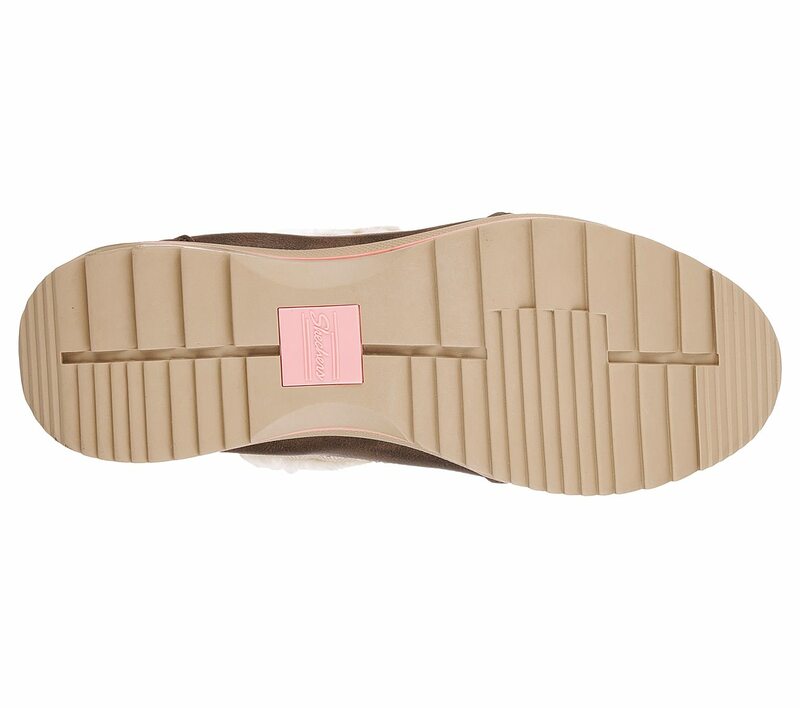 Pink side sole stripe completes the look.